Visit your local supermarket, mall, or giant big-box store and one feature stands out: choice. As consumers in the early 21st century in an industrialized economy, we certainly have choice. There is a seemingly endless variety of different products with different features and different characteristics from which we can choose what best suits us. Economists have a term for this phenomenon: product differentiation. For consumers, the downside is the difficulty in deciding just which item is best for us – as the gentleman to the left is trying to decide. The big benefit of product differentiation for consumers is that we get many new products and products that are tailored to exactly our needs. For the firms that make the products, though, the benefit of product differentiation is that it helps the firm avoid perfect competition. When firms all offer slightly different products, the conditions of perfect competition don’t exist. Instead, monopolistic competition exists. Unlike perfect competition, firms in monopolistic competition may sometimes earn some economic profits. But the key to these possible profits lies in making the product different (and better) than that offered by other firms. Of course it’s not enough to just be different, the product has to be different in way that consumers think is better. List the characteristics of monopolistic competition and give examples. Explain, using both tables and graphs, how a firm in monopolistic competition determines the price and quantity that will maximize profits in the short run. Explain the dynamics of what happens in monopolistic competition in the long run. Explain how well monopolistic competition achieves social goals of productive efficiency, allocative efficiency, and innovation. In the last two units on Perfect Competition and Monopoly, we studied theoretical models of two very extreme, very different market structures. Both models were theoretical constructs with strict assumptions and conditions.In the real world, very few markets conform perfectly to the rigid and extreme assumptions we made in our models. 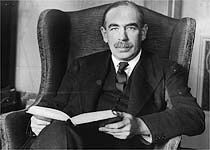 For example, in monopoly we assumed that there was only one firm and that it was impossible for another firm to compete. Real world monopolies often do have a competitor or two, it’s just that the competitor is so small compared to the monopolist, that the monopolist is practically the only firm. Even at the height of Microsoft’s monopoly, it was still possible to buy an Apple, but less than 2% of all buyers did. In the past, over 100 years ago, or in less industrialized societies,perfect competition was and is reasonable model of some markets. But in today’s modern industrialized world, the perfect competition model, with its assumption that all products by all firms are homogenous (perfectly identical) doesn’t reflect the reality of how most modern firms compete. In today’s world, most firms compete by either making their product different, or by advertising heavily in an attempt to convince consumers that the product is different. Monopolistic competition is a model that attempts to capture the realities of how modern firms actually do compete with each other. It places great emphasis on product differentiation. Product differentiation means that each product is slightly different from what’s offered by competitors. These differentiated products still compete with each other in the sense that the consumer chooses between them (considers them substitutes for each other). But the nature of this competition is critically different from perfect competition. In perfect competition all firms produced the same, identical product. Since the products of competing firms were identical (homogenous), buyers simply choose whichever firm offered the lowest price. Firms that didn’t offer the low price didn’t sell anything, so soon all firms are forced to lower prices. Eventually prices are forced down to the level of average costs, meaning that none of the firms in perfect competition make any economic profits. Needless to say, the firms are not’ too happy about this result. Firms exist to maximize profits and they aren’t too happy when that means no profits at all! The profit-squeeze that results from competing on price drives firms to seek any way to avoid perfect competition. Of course for firms, the ideal would be monopoly, but monopoly is difficult to achieve. If monopoly isn’t an option, and the firm still has numerous competitors, then it has to find a way to compete that doesn’t involve cutting the price. Product differentiation is the answer. By making the product different from what competitors offer, it’s possible to develop a product that’s (maybe) better. Better in this case, means a product the consumer wants more than what the competition offers — a product that better suits consumer needs. If the consumer thinks a product suits them better, if the consumer “prefers” it, then consumers (at least some of them) may be willing to pay a slightly higher price for the product. A slightly higher price is all the firm needs – it’s found a way to avoid competing on price alone. How much higher of a price depends, naturally, on how much better the consumer thinks the product is. This is the motivation for product differentiation – to find a way to compete that doesn’t involve cutting the price. Since the price doesn’t have to be cut, it is sometimes possible to earn some economic profits. The result is what we call monopolistic competition. Graphically, the model of monopolistic competition looks very much like that of monopoly. It features a downward sloping demand curve for the firm’s product. In a sense, a firm in monopolistic competition that has successfully differentiated it’s product does have a “monopoly” of sorts. It is the only firm selling exactly that version of the product. For example, in a sense, McDonald’s has a monopoly on Quarter-Pounders. The only firm you can buy from whom you can buy a Quarter-Pounder is McDonald’s. But, unlike a true monopoly, McDonald’s does face competition from firms that sell products that are similar to, but not exactly the same as, a Quarter-Pounder. A true monopolist has a product with no close substitutes. A monopolistic competitor has a product that does have close substitutes, so the demand for the monopolistic competitor’s product is more elastic. The demand curve has less slope. In the short-run, then the model of monopolistic competition looks like a “weak” monopoly – which is exactly what it is. A monopolistic competitor can indeed make economic profits. The more different the product, and the more the consumer prefers it, the higher the price some consumers are willing to pay. Higher prices lead to economic profits. In the short-run, the emphasis in monopolistic competition is on the monopolistic part. The real difference between monopoly and monopolistic competition comes in the long-run. Monopoly has strong entry barriers preventing new firms from competing. Perfect competition has no entry barriers. Monopolistic competition has very weak, if any, entry barriers. In the long-run, the emphasis in monopolistic competition is on the competition part. In practice, this means that if an individual firm in monopolistic competition does successfully differentiate the product, and, as a result, does earn some economic profits, the other firms will quickly copy the successful product. Once other firms copy the successful product, it’s not different any more. It’s no longer unique. The firm is now back to competing on price alone. And when price competition appears, profits disappear. Most firms know that successful products will be copied. So the wise and forward-thinking firms usually try to develop new and additional ways to improve the product. Just as the competition copies the “better” product, the firm brings a new, improved, even better version of the product. One firm that has earned enormous profits over 30 years is Intel. 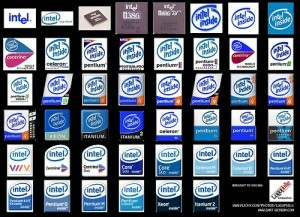 The photo to the right shows just some of the different logos for the different “new, better, faster” computer processors that Intel has introduced over the years. Each time, it took the competition from a few months to a couple years to copy the product. Just as the competition came out with processor chip equivalent to Intel’s, Intel would introduce an even newer and faster chip. Intel’s chairman eventually wrote a book describing this strategy. He titled it, Only The Paranoid Survive. Intel was constantly researching and developing new and better products in the fear that competition was catching up. Eventually, they did. Of course, it’s not always possible to keep developing better and better versions of your product. And sometimes, the essential differences between one firm’s product and another firm’s version of the product aren’t very great. For example, consider Coca-Cola, Pepsi-Cola, RC Cola, and most store-brand colas. The essential products are different – each one does tastes slightly different and has a slightly different formulation. But the differences are very slight and many, perhaps most, consumers can’t tell the difference. So how do these firms avoid pure price competition? 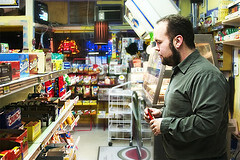 One way is by differentiating on non-physical features such as the location of vending machines. But the bigger tactic used is advertising. Lots of advertising. Why advertising? Because repeated advertising can create the image of a different or better product in the mind of the consumer. All advertising isn’t intended to do this. Some advertising is simply an attempt to inform consumers about legitimate product differences or simply how and where to buy the product. But a lot of advertising is intended simply to persuade consumers of some psychic benefit to the product, or some image. That’s what most Coca-Cola and Pepsi advertising is all about. It’s an attempt to get consumers to prefer that particular brand, even if it costs more. One feature of all product differentiation is product branding. Indeed, without brand names, advertising-based product differentiation would very difficult. Consumers wouldn’t be able to identify their “preferred” product if it didn’t bear the brand name. Performance: How Does Monopolistic Competition Do? Monopolistic competition can be profitable and beneficial for a successful individual firm. But how does it perform for society? Monopolistic competition isn’t as efficient socially as perfect competition. It definitely isn’t as allocation efficient. A monopolistic competitor with successful product differentiation will be pricing the product at slightly higher than marginal cost. This isn’t allocation efficient. All firms in monopolistic competition are not production efficient, either. Whether successful or not, all firms are attempting to differentiate their product. Some try research and development and attempt to find new, innovative products. Other firms are advertising in trying to differentiate. Either way, the firm spends a lot of money on either R&D or advertising or both. These additional activities raise a firm’s fixed costs and total costs above what they would be in perfect competition. From a social perspective, the spending on R&D could be considered a positive. R&D can lead to innovations and new products which benefit society. How ever, there is no assurance that the R&D spending is being spent efficiently. Advertising expenditures, or at least a significant portion of them, are very likely simply a waste of resources without a net increase in social welfare. The two redeeming characteristics of monopolistic competition are that whatever monopolistic profits are achieved tend to be relatively short-term. Without entry barriers, competition returns and prices drop. The best feature of monopolistic competition, though, is innovation and variety. We owe the huge variety of products that we have in stores to the effects of monopolistic competition. Monopolistic competition is common in consumer markets. But there’s another market structure that’s increasingly important and dominant in the real-world: oligopoly. Oligopoly is when the “big guys” come out to play, and it’s in the next unit. he wants so long as it’s black.